Once you get to the site, click on the "Register" link in the upper right hand corner of the site. Once there, fill out the requested information like user name, real name, email address and password, plus the security code. After you fill out the form, within a few minutes and email will be sent to your email address that you filled out on the site. In that email, there will be a link to activate your account on the Gallery site. Once you have activated your account, you will be redirected back to the main page of the Gallery and you can start adding photos. 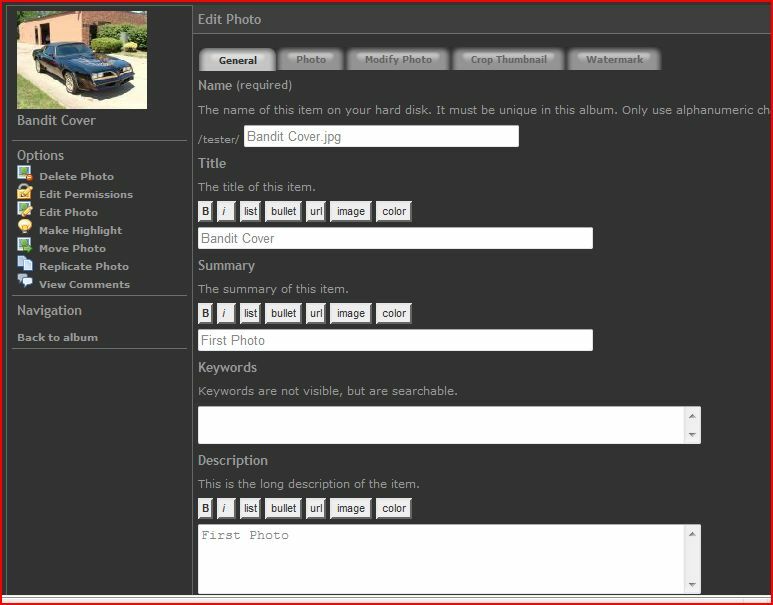 The page should take you back directly to your own album to allow you to start adding photos. 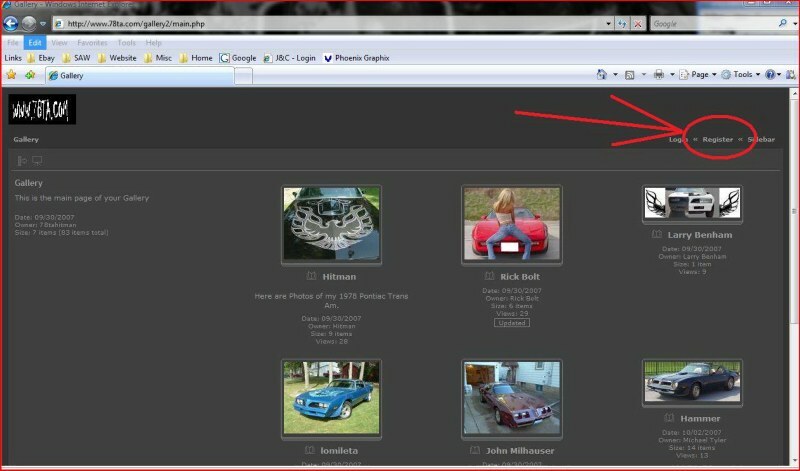 Once you click on the "Add Photo" or "Add Item", you will be taken to the upload screen. From here, you will be able to upload photos from a variety of locations. You can upload photos directly from your hard drive, upload from other websites such as photo bucket, or take photos from a variety of different programs. 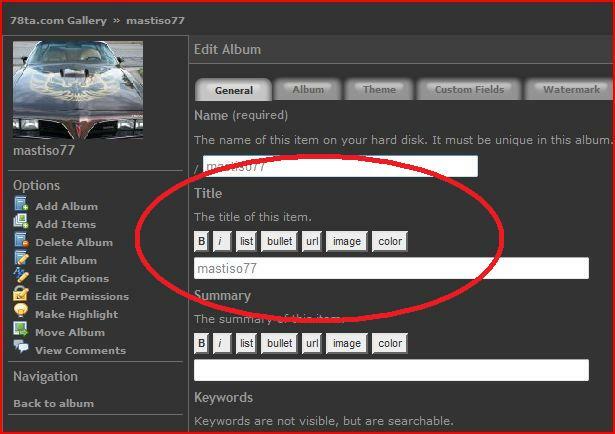 While uploading the photo, you can select up to two photos at a time from your PC and even add captions or descriptions to the photos during the upload. Right now, the file size is limited to a maximum of 2mb per file, and 8mb per upload. Also, each Gallery (album) has a maximum limit of 50mb. 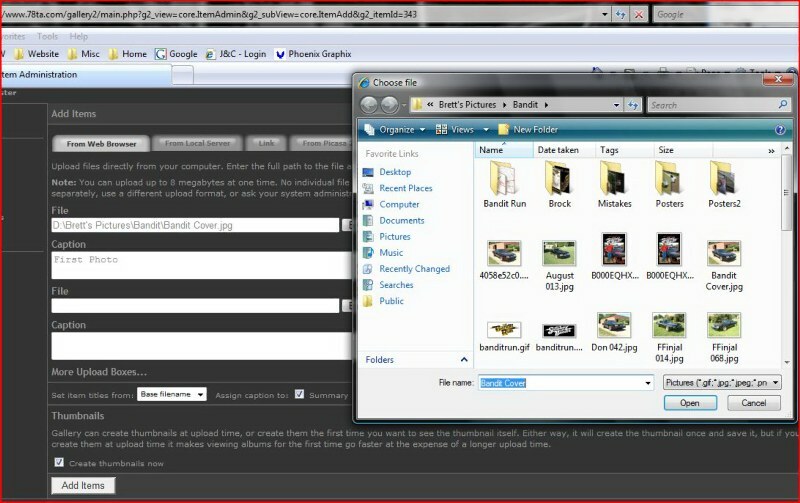 You can upload photos, sound files, and even movie files. Once the photo(s) have been uploaded, you can also access the photos to make changes to it. You can add more comments and description, you can crop the photo, resize the photo, rotate the photo, and more ! 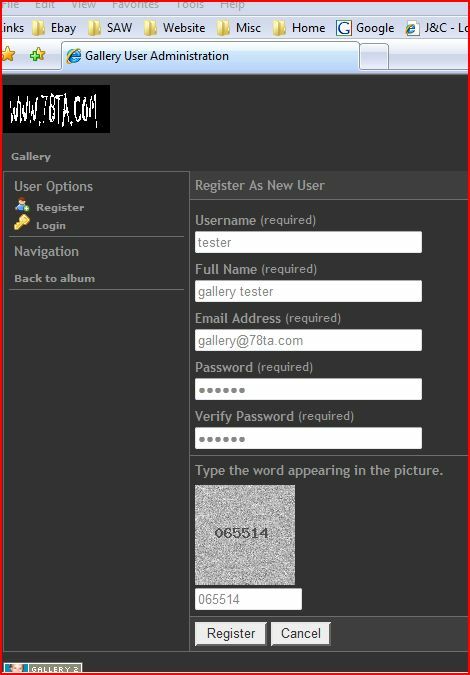 Also, when you register, in order for everyone to assciate your screen name on the forum, with your photo album, click on the "Edit Album" link and change the "Title" of your album to match your screen name. 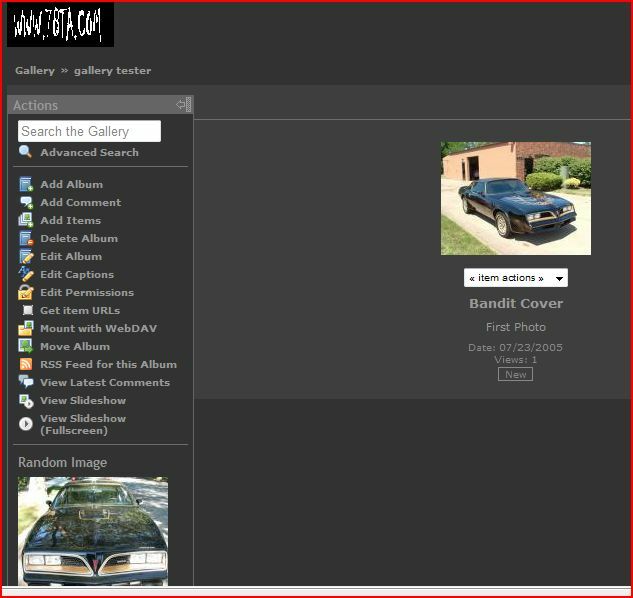 So, check out the Gallery and create your own photo album for the members here at 78ta.com to see. 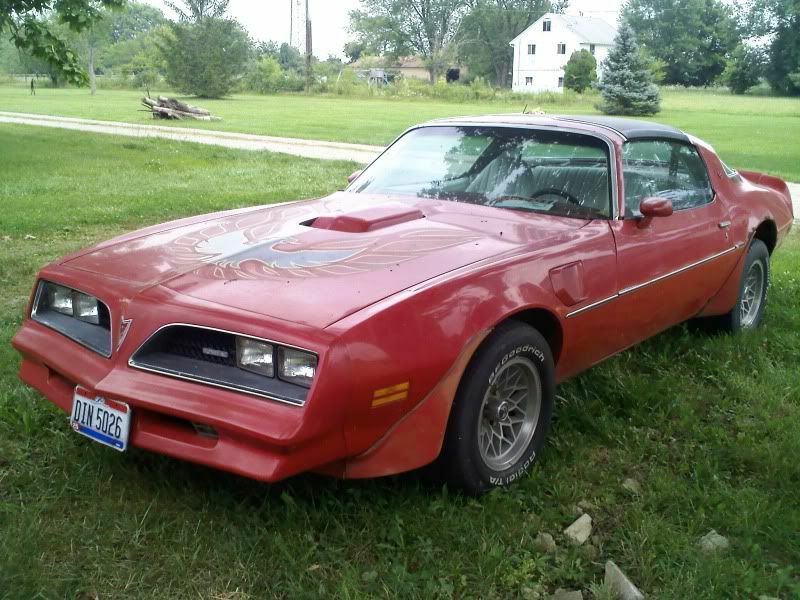 You can keep a running album of your restoration project, photos of your car, or photos of whatever you would like. 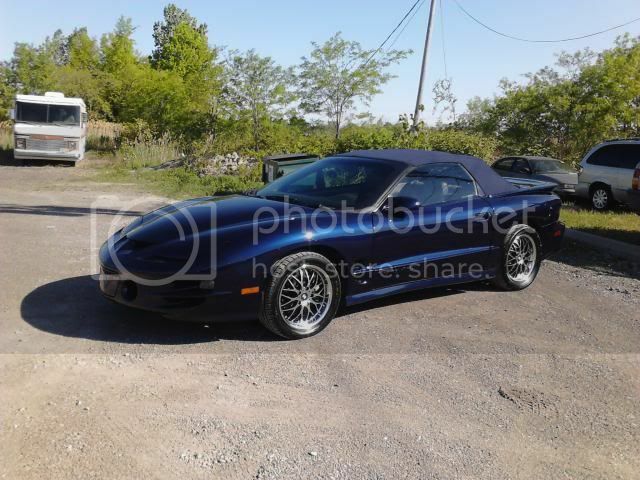 Feel free to give it a test drive and let me know if you have any problems registering of working with the photos. 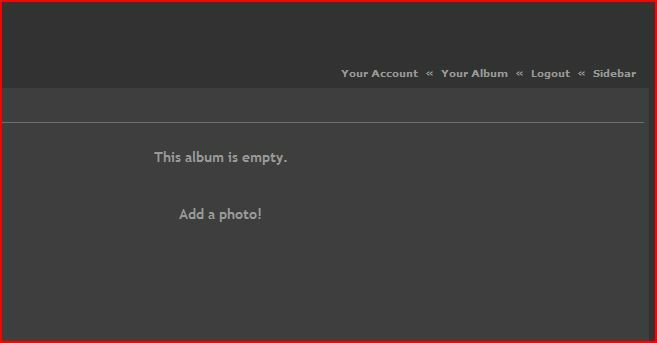 I've tried this feature and it works as well or better than photobucket. Nice addition, Brett! We appreciate it! This is an awesome feature Brett, I finally got a chance to check it out, kudos big guy! Suggestion, list more than three columns of thumbnails when viewing the main page of galleries. Maybe four columns as the side bar would overlap if a fifth column were added. but, that maybe OK. I LOVED the REG script that allowed me to upload all my pics at once into my photo gallery. Great, great feature! I added a new COlumn in there, but all it does is make the others smaller. So, if I went up to 5 or 6 columns, then they just shrink. I also added a link to my home page up top (someone else suggested that in another post). I am still looking into the default information for the slideshow and how to change that. Even so, love the gallery, very nice feature of the site. Thanks for trying on the additional column. Just using the "back" feature on the browser won't get you there? Too cool, now i can cram all of my pics into here. No, go the long way around all the time Hammer. You could also create a shortcut on your computer for the Forum, or open the Gallery in a new window, or use the back button, or use.... well use a different way. Right now on the Gallery, it only has a few spots for links at the top. I can try and add more link there, but I have to look at the code. Use the "drop down arrow" next to the back button and it will display like the last 8 pages back that you have been to. Awesome stuff Brett!!! Really appreciate all you do with this site for us all!!! Pictures? We don't know nothing about no pictures!